The Brain Dump: We Ghana Party! I'm chilling in a hotel room in Addis Ababa with 5 other Boothies right now. We're ordering room service and watching Naija music videos right now. I may or may not be doing a mean chair dance right now, but I admit to nothing. Classes started today but we extended spring break for another day or two. All good things must come to an end and in another hour or so we will be on our way to the airport to start the nearly 20 hour voyage back to Chicago. Spring break 2013 is coming to an end and goodbye to Africa we must say. The 2013 Chicago African Business Group spring Africa trek was a week of professional, cultural, and recreational activities in Accra, Ghana and Addis Ababa, Ethiopia for about 27 Booth students from both classes. Don't think this trip was just for Africans. The group consisted of Nigerians, Ghanians, Chinese, Americans, Indians, and more. Although the official trip dates were from March 25- March 31 most of us arrived in Accra on the 21st or 22nd. Before the official company visits and city tours started we found our way to Accra's beaches, restaurants, and night clubs. On Sunday March 24 22 of us piled into a minibus and headed toward Ghana's coast to visit Kakum National Park and Elmina Castle. The hike through Kakum to its famous canopy walkway started with over 200 stairs through the rainforest in what felt like 100% humidity. I thought I was going to die but when I saw a guy with a broken foot and cane making it up the hills faster than me I sucked it up and kept climbing. The view from the canopy walkway was well worth the bug bites and buckets of sweat to get there. The bridge was like something out of Temple of Doom. After surviving Kakum we headed to the coast to visit Elmina Castle. 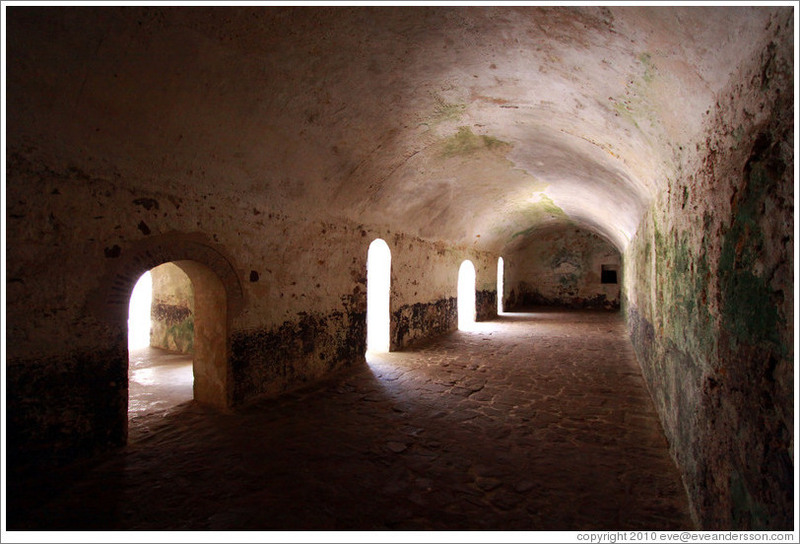 Elmina was built by the Portuguese in 1482 and was a trading post along Africa's Gold Coast. Eventually, trading gold gave way to trading people and the castle became a major part of the Atlantic slave trade. We walked through the male and female dungeons which housed hundreds of people at one time. Even with the breeze from the Atlantic the holding cells were sweltering. There were only about 25 people on our tour and the heat was oppressive. I couldn't imagine how awful it would be for over 100 people locked in there for months. For over one hour our tour guide walked us through the countless atrocities that occurred at Elmina for centuries. People were forced to eat on the same floor that they relieved themselves and others died on. Women were raped on a consistent basis and were separated from their babies before being shipped across the Atlantic. Men were chained together in dungeons without food or water until each one died. In the meantime Europeans lived in luxury on the castle's upper floors. It's hard to describe how seeing that history up close feels. It's more than haunting and disturbing. It's gut wrenching to see man's inhumanity to man. Ironically, I wasn't going to join the group tour that day because I didn't want to wake up for the early bus departure and I had been to a slave trading post in Cameroon a couple of years ago. I'm grateful that my friend convinced me to get out of bed and go. The experience is something I (and many of my classmates) will never forget. The trip wasn't all somber. Accra is an up and coming city where modernity crashes into the past. I spent a lot of time at the Golden Tulip and Movenpick hotels. I indulged in a pedicure, sitting by the pool, and lots of food. Discovering the buffet at Golden Tulip was life changing. There's nothing a West African loves more than some fufu and stew. Forks and spoons be damned. As for the company visits in Ghana...well I meant to go to a few, but I usually wound up finding other activities to occupy my time (food and sleep). I did make it to the best visit of them all: a meeting with the Vice President of Ghana Mr. Kwesi Amissah-Arthur. He sat down with us for over 30 minutes to discuss Ghana's economic prospects and the opportunities we would find should we decide to pursue careers in Ghana. One theme that kept coming up was the exponential increase in energy needs as the country develops. There were video cameras and press present for the meeting and all of the pomp and circumstance definitely felt a bit overblown and awkward. But hey, who am I to complain. At the end of the meeting we took a photo with the VP and he asked me who did my hair. I proudly let him know that I had twisted my hair myself. The impromptu conversation with Ghana's 2nd in command wasn't even the best part of visit. We were provided a motorcade to the airport to ensure we arrived in time to make our flight to Addis Ababa. Watching the lead motorcyclist slice through Accra's traffic parting traffic like Moses parted the Red Sea was thrilling. I saw my life pass before my eyes a few times with a couple of near head on collisions but it was so worth it. From Accra we were off to Addis Ababa...but this post is long enough so I'll continue the story soon. wow, that sounds like an amazing experience! I am planning on applying to MBA programs this fall and I've found your blog to contain a wealth information. 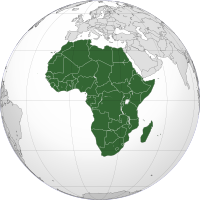 One of my post MBA goals is to work in West Africa (I'm a US citizen living in Ghana now). Could you provide a little more information on which companies your trek visited (I know, the most boring part of the trek)? I'm curious which companies are interested in hiring MBAs in Africa. Thanks! Hey Cheetarah, thanks for all your help and advice throughout this application season, especially on the Booth interview and concept of fit. I am one of the lucky hundreds who got in through R2! Hope to see you in Chicago! Second, it sounds like you had a great time - thanks for sharing! Congrats Pru! So glad to hear you got into Booth. Hopefully I will see you at admit weekend. Jamico, some of the companies visited were IFC, Tigo, SAB Miller, Ghana Home Loans, Ecobank, and many more. Trek visits aren't necessarily about finding immediate job opportunities. While these meetings can lead to internships and full-time offers, the purpose of visiting these companies is really to learn more and network within industries/companies that don't lend themselves as well to the typical on-campus recruiting machine. Hope this gives you a better idea of what to expect from career treks.